I am incredibly honored that my painting 'Arcata' has won best 'Water' category in the December-January 2019 Plein Air Salon. Thank you to judge Tim Newton for the recognition. 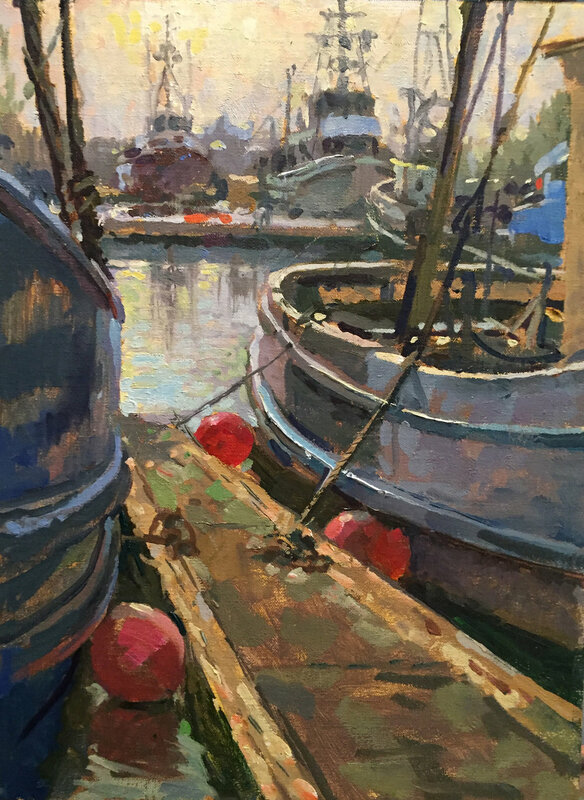 And thank you Eric Rhoads for creating the opportunity for painters through the Plein Air Salon and Plein Air Magazine. Very happy to say that my painting "Colors of Garrapata" was juried in to the Oil Painters of America Eastern Regional Exhibition. The Group Exhibition is at McBride Gallery 215 Main Street Annaplois, MD and is on exhibit October 25th through November 25th. Come see the painting while it is on display now at 20 West State Street until Saturday October 14th. I am incredibly honored and grateful to have been awarded the Grand Prize, Best in Show for my painting 'Jupiter Rising' at the 5th Annual Jupiter Lighthouse Plein Air Festival. Thank you to all the Lighthouse Art Center Organizers, the amazingly supportive and helpful volunteers, judge Nancy Tankersley and all the incredibly inspiring and hard working painters who collaboratively made this an awesome week and a memorable experience for all. I was very grateful and honored to win Third Place at the Quick Paint during the 2017 4th Annual Lighthouse Plein Air Festival in Jupiter Florida. Special thanks to judge Goerge Van Hook for the honors. 3rd Place. 2016 Olmsted Open Quick Paint Competition. Atlanta, Ga.